Dice are stocked in a wide variety of shapes and sizes. 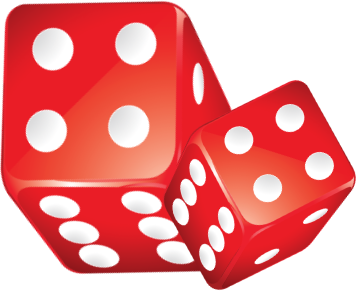 Some of the most popular dice that we have in stock include 6 sided dice, 8 sided dice, 10 sided dice, 12 sided dice, and 20 sided dice. We stock all of the polyhedral dice that you'll need for your next RPG game. These dice are available individually and in 7 dice sets which each include one 4 sided (d4), 6-sided w/numbers (d6), 8 sided (d8), 10 sided (d10 numbered 0-9), Tens 10 (10-sided numbered 00-90), 12 sided (d12) and 20 sided (d20).